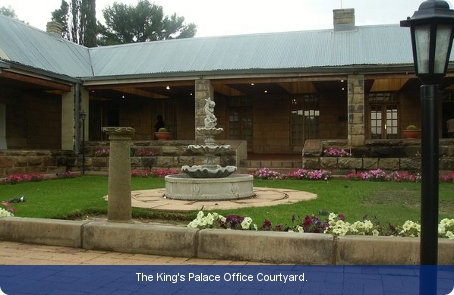 The Kingdom of Lesotho is a constitutional democracy. Shortly after a return to multi-party democracy in 1993 the present constitution came into force. A constitutional amendment in 2001 introduced elements of proportional representation into the legislature. The monarch is head of state with the succession being ratified by the college of chiefs. Under the terms of the constitution of 1993 the monarch has no executive or legislative powers. The prime minister is head of government and appoints a cabinet. The bicameral legislature consists of the National Assembly and the Senate. The National Assembly is elected for five years with 80 seats by first-past-the-post and 40 by proportional representation. The Senate is a non-elected body with 33 members, 11 of which are nominated by the monarch on the advice of the prime minister; the remainder are made up of the principal chiefs of Lesotho. The constitution states that the leader of the majority party in the Assembly automatically becomes the prime minister. The justice system is based on Roman-Dutch law, and is similar to the South African one. The High Court has jurisdiction to hear the most serious civil and criminal cases, and appeals from the lower courts. Appeals from the High Court come before the Court of Appeal. There are magistrates’ courts in each of the ten districts, and more than 70 central and local courts. Appeals from local courts come before the central courts and appeals from the central or local courts come before the judicial commissioners’ courts, from which further appeals may be made to the High Court. Lesotho is a highly unusual country in that it is completely surrounded by another, namely South Africa. Lesotho was settled by the Sotho people in the sixteenth century, mingling peacefully with the earlier Khosian people. In 1884 Basutoland (as Lesotho was then called) came under direct British rule. Lesotho became independent in 1966. The coat of arms of Lesotho features a Basotho shield with an image of a crocodile and two horses. At the bottom of the shield there is a ribbon with the national motto ‘Khotso, Pula, Nala’ (Peace, Rain, Prosperity). These emblems were first adopted in October 1966. In the elections of 1965, the Basotho National Party (BNP) led by Chief Leabua Jonathan, narrowly defeated the Basutoland Congress Party (BCP). In the following year Chief Jonathan became the first prime minister of independent Lesotho. Jonathan was overthrown by a military coup in 1986 and was replaced by Major-General Justin Lekhanya. In 1991 it was Lekhyana’sturn to be deposed; he was replaced by Elias Phitsoane Ramaema. In 1993 the BCP, led by Dr Ntsu Mokhehle, won all 65 seats in the new National Assembly. In 2002, in the first elections following the introduction of an element of proportional representation, the Lesotho Congress for Democracy (LCD) took 77 seats and 55 per cent of the votes. Bethuel Pakalitha Mosisili was again sworn in as prime minister. In 2006 Tom Thabane resigned as a minister in the LCD government to form a new political party, the All Basotho Convention (ABC). Sixteen LCD MPs and one independent defected with him, making the ABC the third largest party in the National Assembly with 18 members. In the 2007 election, Moisili and the ruling LCD were returned to power.